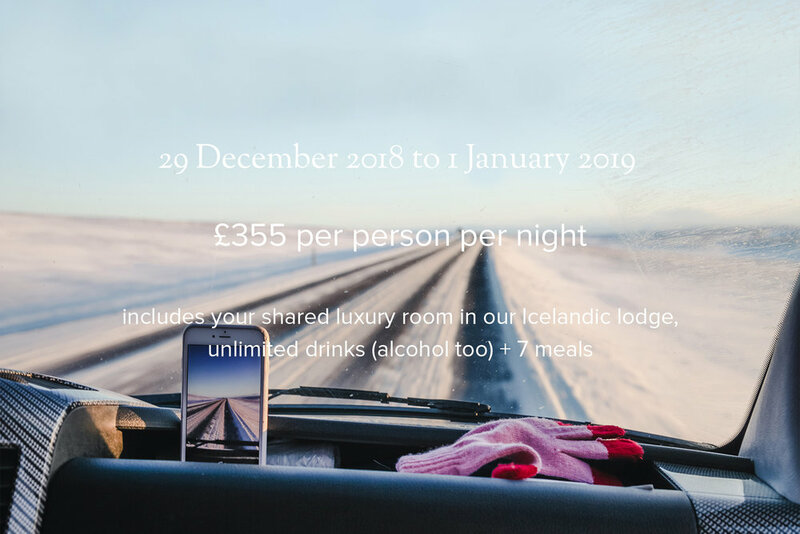 Our annual New Years in Iceland trip for 2018/19 is now open for bookings revellers, get in fast, this one sells out quick! 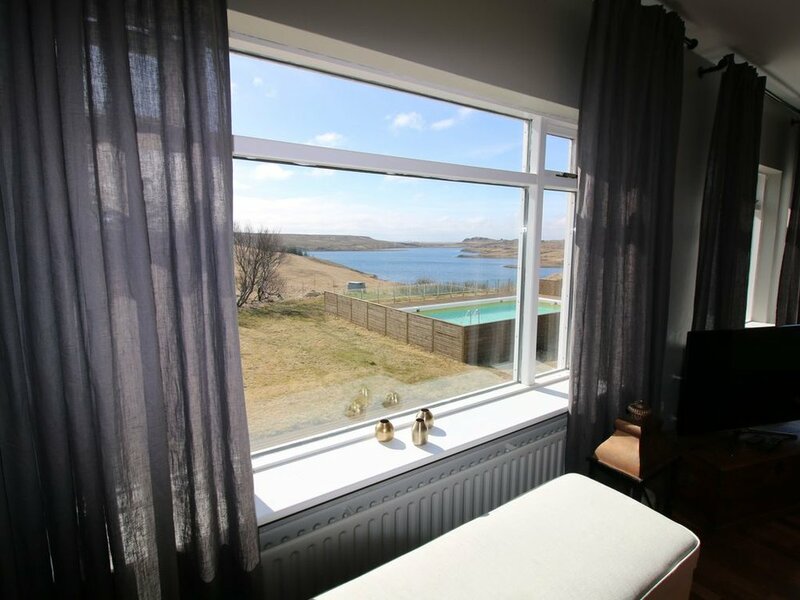 We’re ringing in 2019 in a renovated three storey Icelandic farmhouse set on 700 acres of our own farmland with stunning views, mountains and lakes and wild horses and sheep roaming the land. 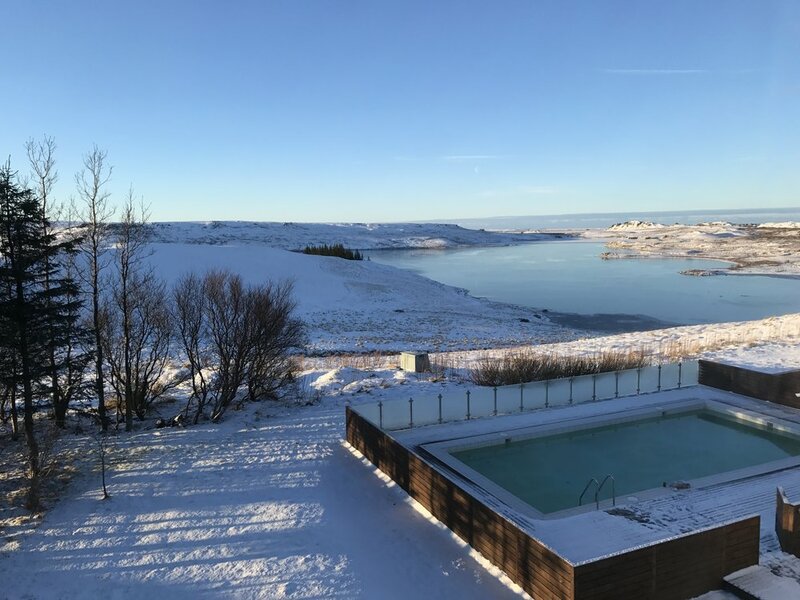 We'll have our very own outdoor thermal hot spring just footsteps from our house and we'll explore Iceland's Golden Circle too with a trip to the Blue Lagoon, dog sledding in the snow and northern lights viewing. This one's intimate with only room for 20 revellers, so get in quick! Days will be spent visiting the Blue Lagoon and other nearby hot springs and going to see the jaw-dropping Gullfoss waterfall, Geysir geothermal area, and the UNESCO site Þingvellir National Park. When we're not busy dog sledding through the snowy countryside, we'll be keeping warm with yummy meals around a big table at our luxury lodge. All aboard the G&T bus! We'll collect you from Reykjavik's main airport, Keflavik, in the afternoon to bring you into Reykjavik for an epic Icelandic seafood lunch in the harbour. Afterwards, we will give you a warm G&T welcome at our luxury lodge, your home for the next four days. Once you've settled in (and maybe after a visit to the Icelandic horses on the property), we'll enjoy our first beautiful dinner together. Today we take our private Golden Circle Tour, with a tour guide who will regale you with stories of Icelandic culture and history (they believe in elves here) while we take in the stunning Gullfoss waterfall, Geysir geothermal area, and the UNESCO site Þingvellir National Park. We'll warm up with some wine and dinner back at the lodge, before a late night adventure out to see the elusive Northern Lights. Today is New Year's Eve and Bucket List Day - you will finally get to go dog sledding in Iceland through the spectacular snowy landscape, as we yell "MUSH!" and ride into the sunrise behind husky dogs who love to cuddle as much as they love to run. Dinner tonight is in the area's top-rated restaurant, where we'll toast each other over Icelandic fare. We'll come back to the lodge to countdown to 2019 and party the night away. Late-night swim in our very own geothermal pool, anyone? Fact: there is no better place in the world to recover from a New Year's hangover than in the famous Blue Lagoon - they even give you a face mask to breathe life into your partied-out skin (oh, and you can get a drink in the swim-up bar). We'll spend time in the natural springs, steam room and sauna with our new best friends before heading to the airport to fly back home. Until next time, reveller! We'll be taking over a newly renovated Icelandic farmhouse set in the countryside of Southern Iceland, on 700 acres of our own private farmland including mountains and lakes all to ourselves and stunning views all around us. There'll be horses roaming the land and wild sheep and we'll be providing fishing rods to fish in the nearby lake. We'll have our very own outdoor geothermal hot pool just footsteps from the house, piping hot with natural heat from a 800 meter deep borehole just meters from the house. Away from the light pollution, we'll have the best chance of catching the northern lights dance all over the sky from our remote location. The house includes nine bedrooms over three stories. We've only got room for 18 revellers on this trip so spaces will book up fast! 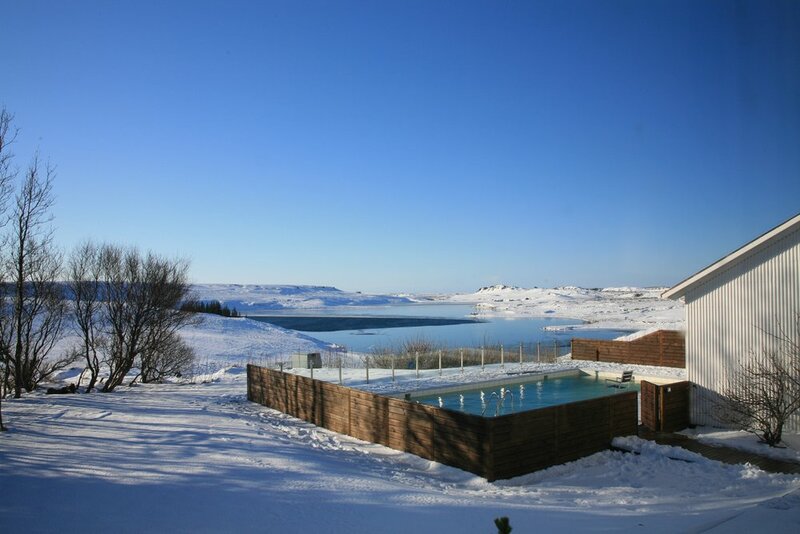 The Farmhouse is located in the heart of the Golden Circle in Southern Iceland within an easy reach of all the major attractions of the area including the famous Blue Lagoon. Yet we'll be far enough away from the light pollution of Reykjavik (1 hour's drive away) to catch the northern lights. *Price per person based on sharing room between two. 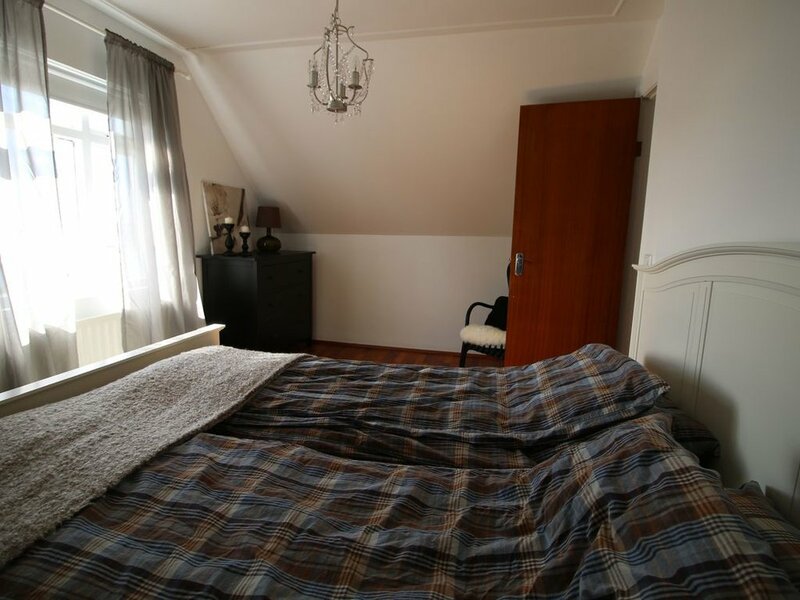 Please let us know in booking notes if you are a couple requesting a double bed. We'll be picking you up by bus Saturday morning at 10am from Reykjavik Keflavik airport to take you to the lodge and returning to the airport Tuesday evening at 3PM. Please email us at hello@gandtweekends.com if you would like assistance in choosing your flights or with any queries at all. We are here to help!